"Made in Germany" means produced in Germany and is a guarantee of origin. However, behind this designation of origin lies much more. Originally the expression was used towards the end of the 19th century as a protection against cheap imported goods into Great Britain and USA. Paradoxically the phrase developed differently to what was intended. What began as a negative product description came to mean the exact opposite and „Made in Germany“ soon became a symbol of approval. It has developed into an unmistakable quality characteristic of German goods. 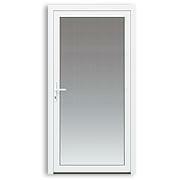 Goods which are produced in Germany, must fulfill certain quality standards; this is also true of windows. 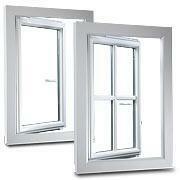 Windows made in Germany are a guarantee for stability and durability. As a result of strict requirements and production regulations the manufacture of windows from Germany is strictly laid down. The label "Made in Germany" represents an excellent price-performance ratio. The unique production methods and development in Germany is continually driving the designation of origin „Made in Germany“ forwards. The tradition of window production has also developed in a unique way. There has been a very long tradition of making windows in Germany. Special value is placed on the further development and improvement of present know-how. In our window Onlineshop all products are "Made in Germany". 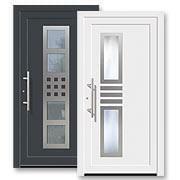 We manufacture our windows in Germany and place special emphasis on brand name quality. Consequently we order our window profiles from the company aluplast and our window glass is supplied from the Interpane glassworks. The products guarantee a long life cycle, possess excellent design and are of the highest quality. Unique research and development combined with the desire for perfection drive the success of the products forwards. Our company also follows these goals and builds on the label "Made in Germany". Our thoroughly competent staff can offer you individual advice and are happy to answer your questions and requests. We would be pleased to help you and guarantee the best possible processing of your order.